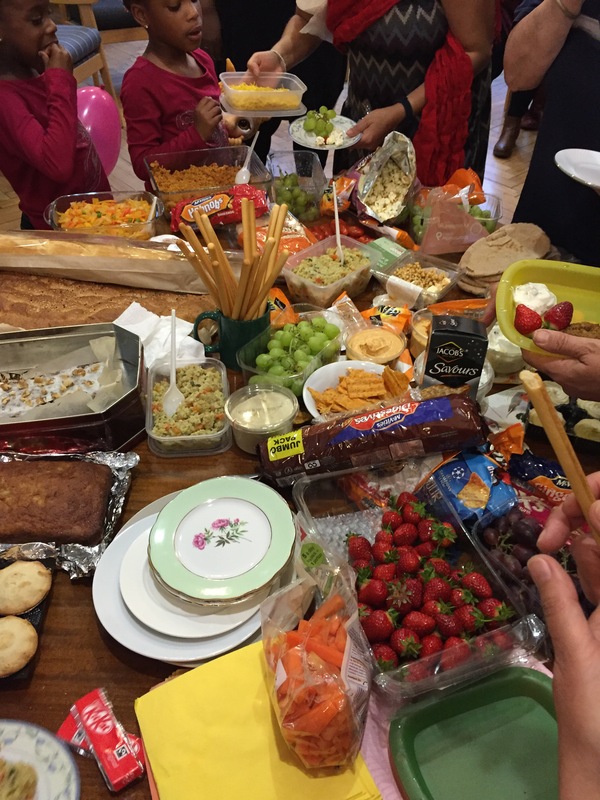 Yesterday we had a party to celebrate the launch of our website, invite new members and connect with those who haven’t been for a while. As usual, it wasn’t a perfect execution of professionalism, it was just us cobbling together ideas, equipment, tasks and you know….it was great. 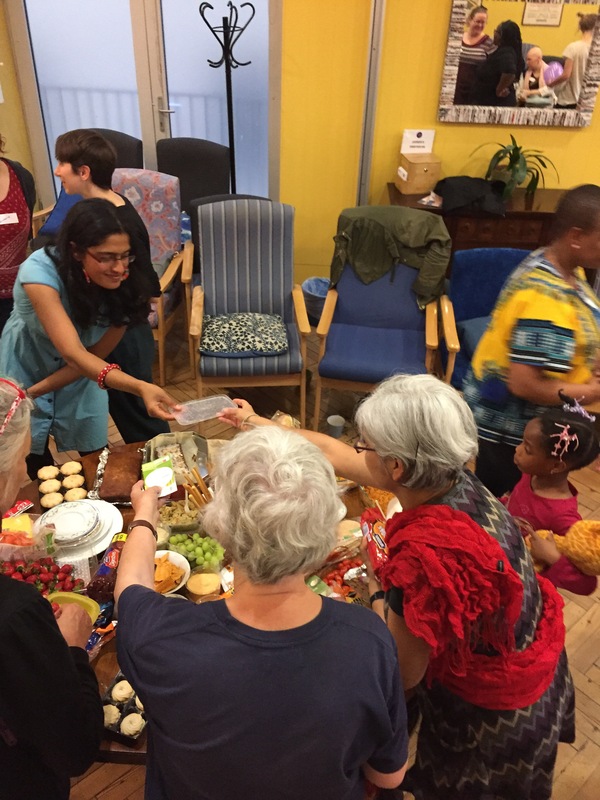 It was us creating space to welcome each other, sing, laugh, eat (lots of food) and feel those moments of joy that we sometimes miss in our daily lives because we are so busy. Lucy led us with a Zimbabwen welcome song, Ali helped us connect with a song that has been sang at campfires for generations and Ama played the drums and sang a song from Ghana, a mixture of twi and ga, aided by Maame. Mary read out a beautiful poem about life that she had written and we just went into our own rendition of Labbi Saffre ‘something inside so strong’, it just felt perfect – honouring that thing inside us that keeps our flames burning. We had five new people, who just went with the flow – shared food with us, sang with gusto even if some of the words were unrecognisable, helped clean up. We talked about how hard it can be to create community in London, with its transient population, latest fads and stress. The fact that we have continued to create a community with each other, a diverse group of women from different generations, shows how much we desire this. I got a chance to talk to Steph and Ama, and just found myself being blown away by their awesomeness. Not the bragging type sort of awesomeness but you know, the stuff you recognise in sisterhood. That alone was worth it. Previous Post How do I know that I can sing?